circles around a small collapse. even your dinner napkins are on fire. Previously appeared in conjunction with Craft and Folk Art Museum's "Ehren Tool: Production or Destruction" exhibit. Born in Istanbul to Iranian parents, Solmaz Sharif's first published poem, included in A World Between (George Braziller), was written at the age of 13. Since then, her work has appeared in jubilat, Gulf Coast, Boston Review, DIAGRAM, and others. Between 2002-2006, Sharif studied and taught with June Jordan's Poetry for the People. 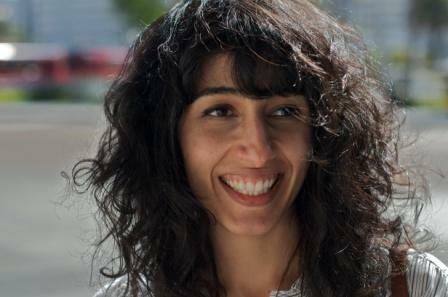 She is a winner of the "Discovery"/Boston Review Poetry Prize, a former Poetry Fellow at the Fine Arts Work Center in Provincetown, and will be a Stegner Fellow at Stanford University from 2012-2014.